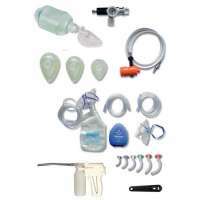 Resuscitator Distributor: Manufacturer Trained Supplier of Resuscitator Safety Products. Automatic oxygen resuscitators are designed for use by first responders, paramedics and other medical professionals for short-term resuscitation for cardio respiratory patients. The Oxylator we stock is made by BOC Healthcare, who are one of the UKs leading suppliers and a member of the Linde group of companies who manufacture a wide range of products including medicinal gases from liquid helium for cooling the magnets of MRI systems to nitrous oxide for clinical anaesthetics in over 100 countries worldwide. Their products can be found being used to provide essential care and life support in hospitals, treatment centres, GP surgeries, dental, veterinary and ambulance services as well as in patients homes and at emergency first response situations. The Oxylator has been an important development for the company and for healthcare in general. 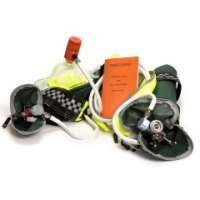 Being small and lightweight as well as simple to operate it is used for short term as well as prolonged resuscitation attempts and short term attended transport ventilation in both in hospital and pre hospital arenas as well as on site emergency resuscitation situations. As a company, BOC Healthcare has been a major force behind many important developments in the field of medical products. They have been instrumental in developing medical gases like Entonox and in promoting the medical profession's understanding of the clinical benefits of oxygen, Heliox21 and other gases.